﻿ Optical modules and fiber optic transceivers, would you distinguish it? Optical modules and fiber optic transceivers, would you distinguish it? In the field of optical communications, there are many devices with similar functions, such as optical modules and fiber optic transceivers, are photoelectric conversion equipment, and sometimes they have different names, optical modules, also known as optoelectronic modules, fiber optic transceivers Also called photoelectric converter, what is the difference between them you will distinguish? Through the description of this article together to find out about it! What is the role of fiber optic transceivers? 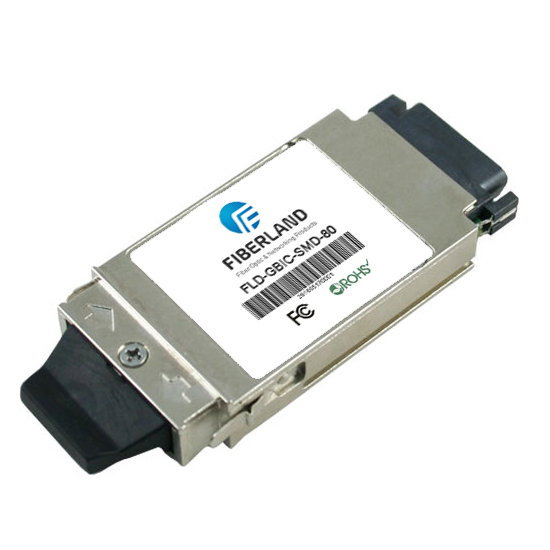 Fiber optic transceivers are short-distance electrical signals and long-distance optical signal conversion equipment, generally used in long-distance transmission, through the optical fiber transmission, the electrical signal into optical signals sent out at the same time, the receiver will be Received optical signal into electrical signals, fiber optic transceivers is a cost-effective solution, do not need to spend a lot of manpower, material and time to complete the network upgrade. What is the optical module? The role of the optical module is also the conversion between the photoelectric signals, mainly used for transmission between the switch and the device carrier, the transmitter side of the electrical signal into optical signals, through the optical fiber transmission, the receiver then convert the optical signal into electrical signals, And fiber optic transceivers are the same principle, but the optical module compared to the transceiver more efficient, security. What module does the optical module use? 1, Guangduan Ji: video Guangduan Ji generally use 1 * 9 single-mode optical module, some high-definition optical transceiver will also use SFP optical module. 2, fiber optic transceivers: 1 * 9 optical module. 3, the switch: the use of SFP ,, XFP optical modules. 4, optical fiber card: using 1 * 9, SFP, SFP + optical modules. 5, fiber high-speed dome: the use of SFP optical module. 6, the base station: the use of SFP, XFP optical module. 7, repeater: using SFP optical module. What is the difference between optical modules and fiber optic transceivers? 1, optical modules are accessories, generally only in the switch and with optical module slot device used; fiber optic transceivers can be used alone. 2, optical modules to support hot-swappable, flexible configuration; fiber optic transceivers are fixed specifications, replacement upgrade difficult. 3, optical module through the matching equipment; fiber optic transceivers separate power supply. Do you need to pay attention to the use of optical modules and fiber optic transceivers? Optical module is a functional module, can not be used alone, in the optical fiber network structure design, we often will use fiber optic transceivers and optical modules, the following we look at the use of fiber optic transceivers and optical modules need to pay attention to what? 1, wavelength and transmission distance must be consistent, such as are used 1310nm or 850nm wavelength, transmission distance is 10KM. 2, fiber jumper pigtail interface selection should pay attention to the general use of fiber optic transceivers SC mouth, optical module is used LC port. 3, fiber optic transceivers and optical modules must be the same rate, such as gigabit transceiver corresponding to 1.25G optical module, one hundred trillion even Gigabit, Gigabit even Gigabit. 4, optical module type need to use the same type, single fiber on the single fiber, double fiber on the double fiber.